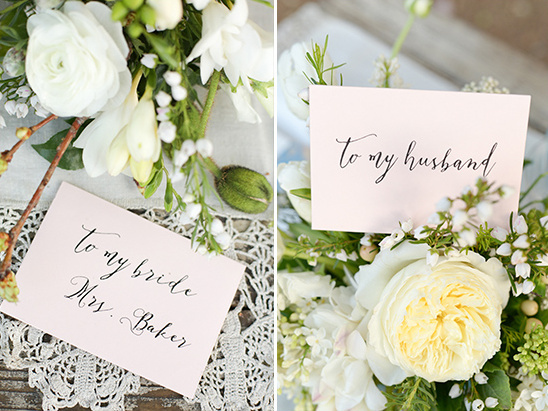 If you're looking for some sweet southern wedding inspiration then look no further! 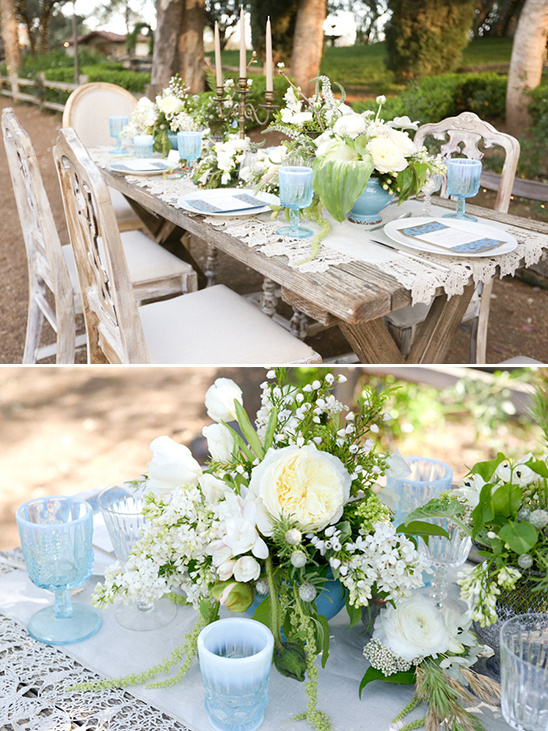 This gorgeous shoot has it all, from the subdued blush colored dresses and flowers, to the something blue vintage glass table settings. 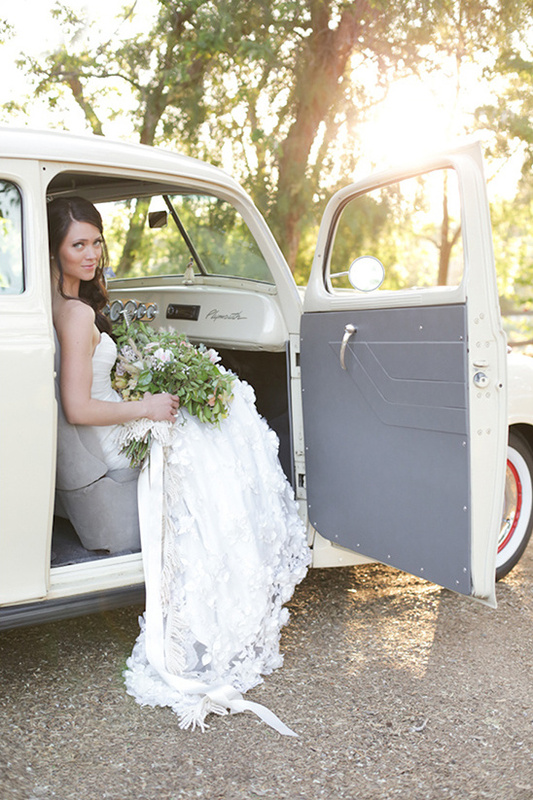 It's full of southern charm and we're loving every detail. 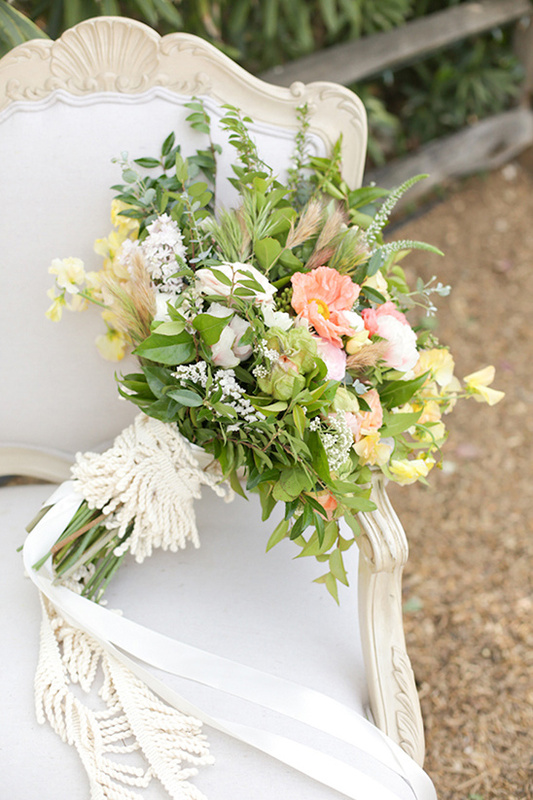 There is a lot more to see of this sweet southern charm wedding inspiration! 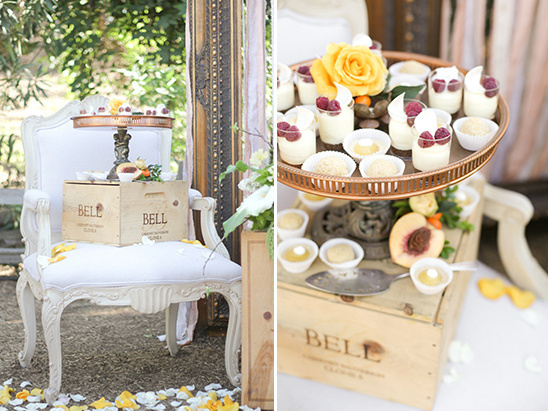 View the full gallery here for more southern goodness captured by L Parker Photography, and coordinated and styled by Celebrations by Di & Co. 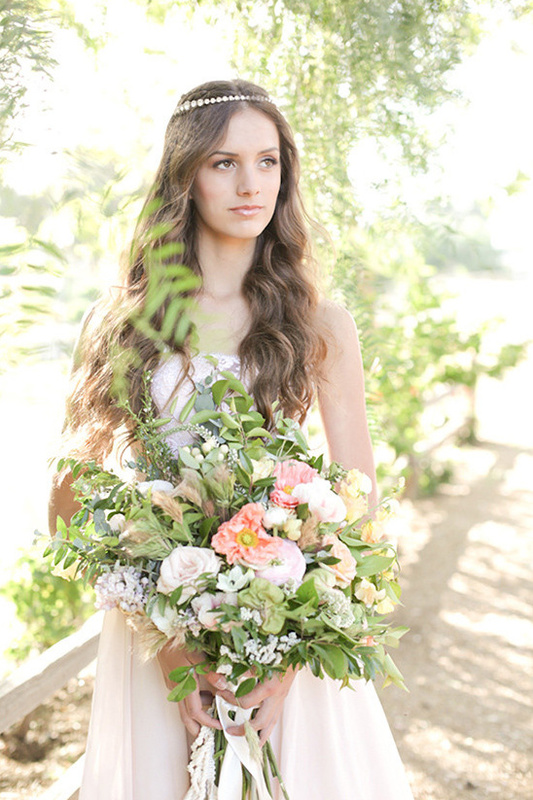 Stirred by the inspiration and charm of the South, this stylized shoot on location in Temecula Wine country was at once lush and captivating. 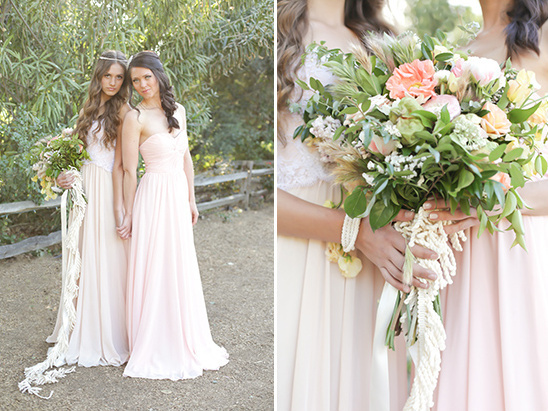 The look was inspired by the soft sherbet tones of pure white innocence, fresh peach and subtle pale pinks all set off by the cerulean blue luster on the table. 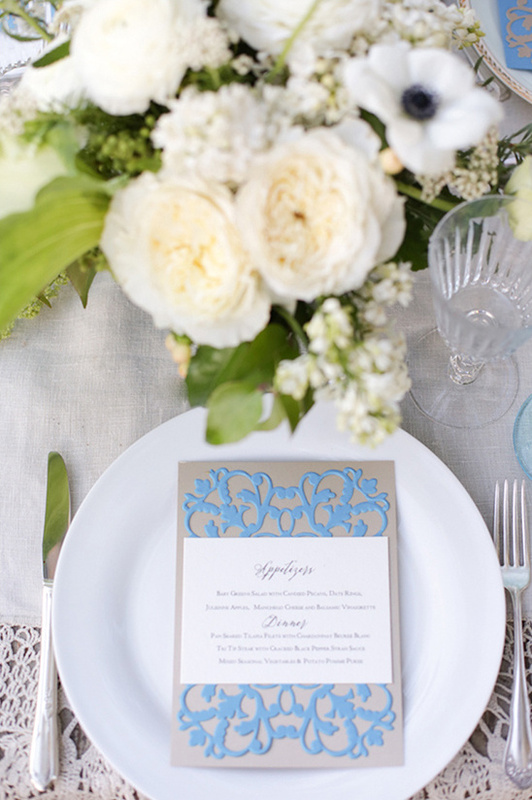 The overall essence of this theme was captured in the flowers and table settings. With loose unstructured blooms, the alluring paper suite, and a combination of pottery and vintage glass, we were able to portray what a romantic southern afternoon might feel like. 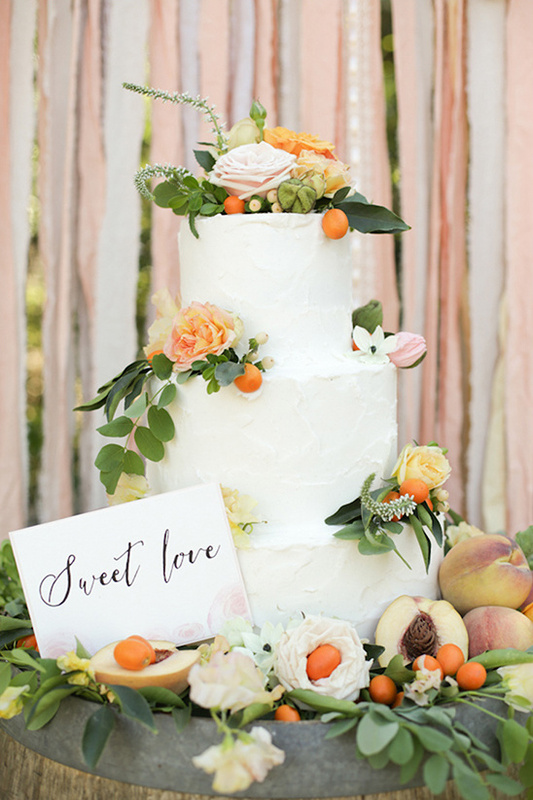 The dessert backdrop, a drifting ribbon wall of the same soft color palette encased in an oversize gilded frame invoked perfect southern hospitality displaying a three tired cake draped with delicate kumquats, fresh juicy peaches and luscious roses. 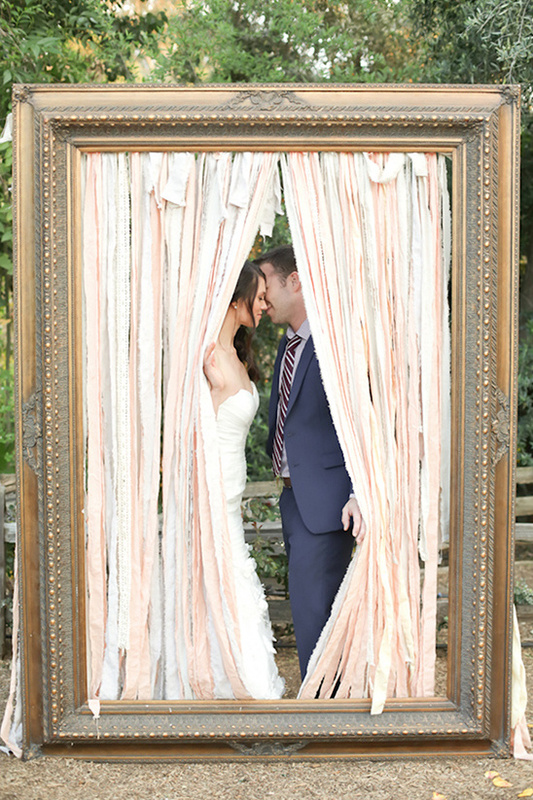 The life size frame became a romantic photo opportunity for two to share a dreamy kiss. 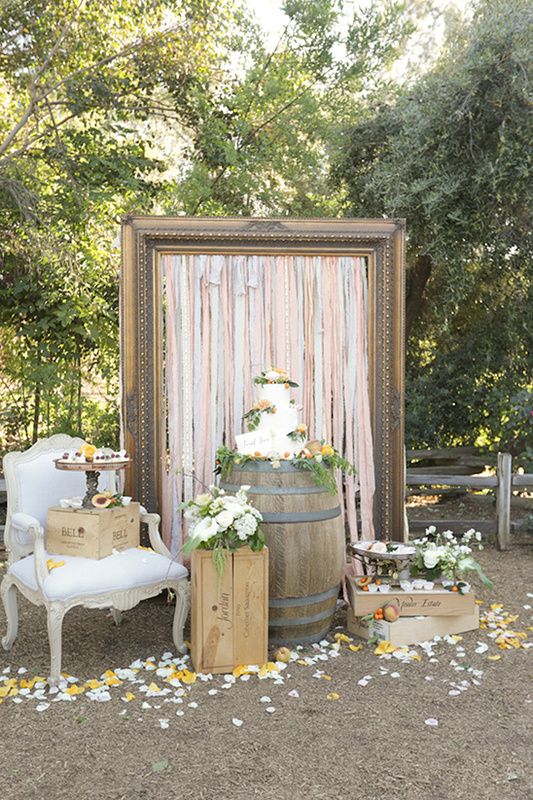 Event Planning & Design Celebrations by Di & Co.